Hot dog | Can I Bring the Dog? 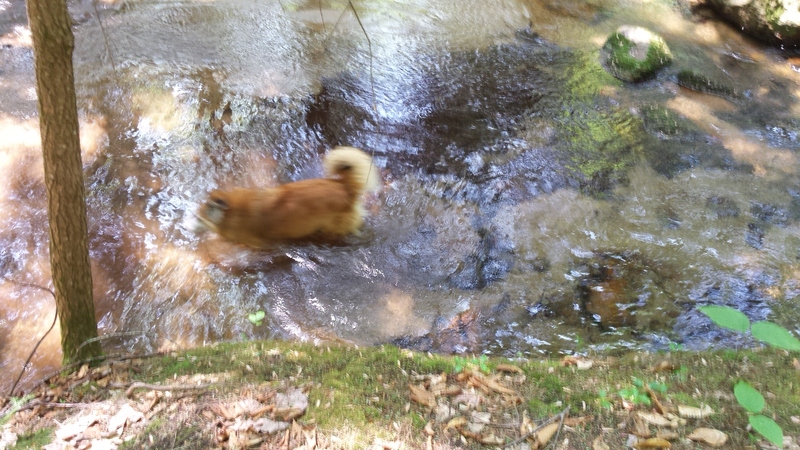 It was hot, even at 10:30 this morning, so we went to Wonalacet Brook. It was hot there too, but there’s water for dipping.